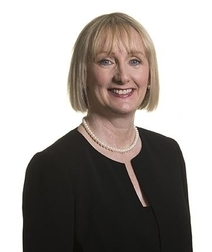 A real estate development and investment lawyer, Paula serves on the UK and global boards of Womble Bond Dickinson and is the first female President of the Leeds Chamber of Commerce. She has more than 30 years of experience in advising on office, retail, industrial, residential and leisure developments of all sizes and complexities, and is consistently ranked as a leading individual by Chambers and Legal 500. Paula is diversity and inclusion board sponsor at Womble Bond Dickinson and is committed to many local causes. She founded the Crypt Factor, raising over £500,000 for homeless charities, and helps organise the Residential Property Awards to raise funds for children’s’ charity Variety. Paula is also a member of the northern board of the IPF and until recently served as Vice Chair of Opera North. Paula was voted Yorkshire Lawyer of the Year at the 2018 Yorkshire Legal Awards.